HEART TO HEART INTERNATIONAL | Connecting You To A World In Need. 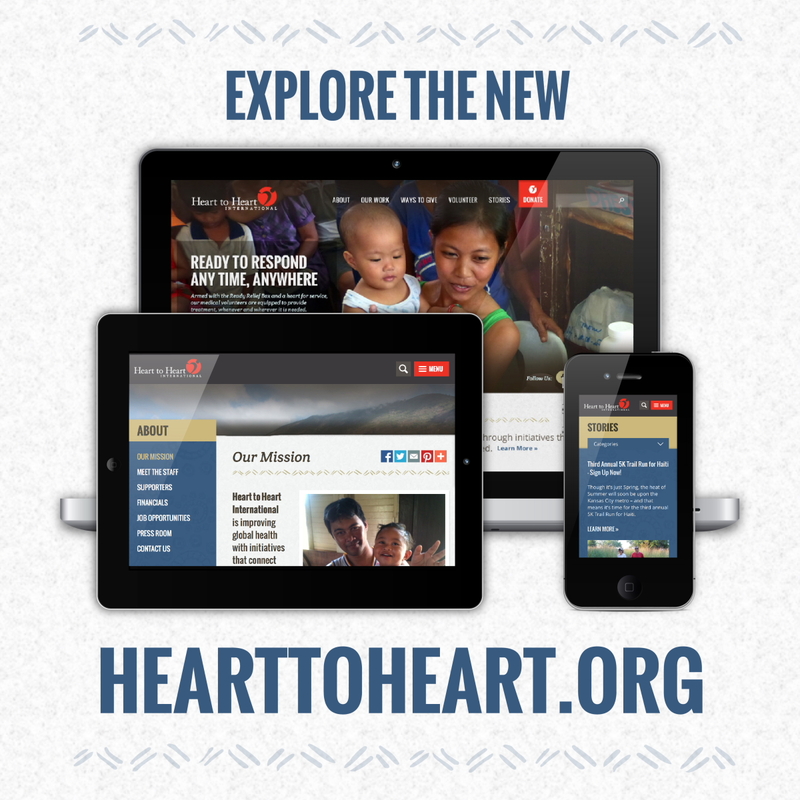 Heart to Heart International has launched a brand new website at hearttoheart.org and this blog will no longer be updated. The stories and posts you’ve been reading here for the past couple of years are now over on the new website. Thanks so very much to all of the readers and to all of the email subscribers for following us. If you would, please go to hearttoheart.org and sign up again on the front page of the website. This way you’ll still get updates from HHI. They’re at it again… those awesome folks at Welch Allyn are helping a world in need! Pictured (l to r): Todd Menickelli & Sue Mangicaro, Welch Allyn; Jennifer Lewis, Cardinal Health; Teri Elia, Welch Allyn. The 2014 Show of Hands campaign kicked off today in Skaneateles, New York, at the headquarters of Welch Allyn, a medical diagnostic device company… and a big supporter of Heart to Heart International (HHI). This is the 5th year for the Show of Hands, a Corporate Social Responsibility (CSR) effort, where employees can take the day to volunteer and work on service projects, like building thousands of Heart to Heart Care Kits! At the very first Show of Hands – Welch Allyn employees worked in a tent under the pouring rain and built 2,100 Care Kits. 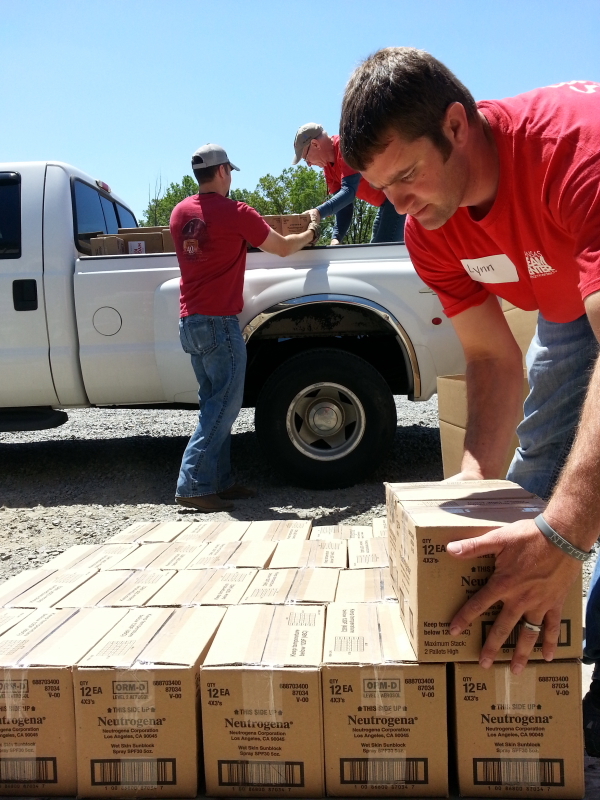 In 2013, in it’s 4th year – employees built 10,000 Care Kits at the home office and 5,000 in another location in Oregon. 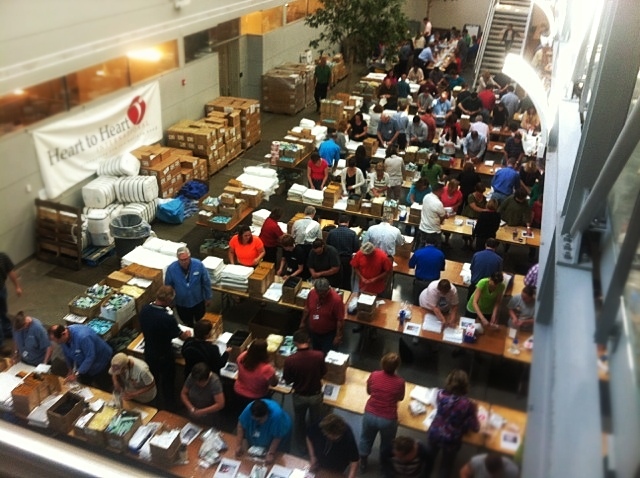 Now, as this is being written, 280 employees are hard at work putting HHI Care Kits together – with a goal of 15,000 in one day at one location. They’ve already put 10K+ together in their first shift! According to David Allyn, Director of CSR for Welch Allyn, working with a trusted partner like HHI, they know their efforts result in getting care to those in need. He also said, the Show of Hands is a great opportunity for team-building among the staff. Henry Schein – who came through, when supplies came up short, with 5,000 tubes of toothpaste just in time. But the folks at Welch Allyn aren’t done helping after today. The next Welch Allyn Show of Hands is a West Coast event in July in Beaverton, Oregon, where employees will certainly rise to the occasion to build a lot of Care Kits. Many, many thanks to all involved for helping, we honestly couldn’t do what we do without them. Though it’s just Spring, the heat of Summer will soon be upon the Kansas City metro – and that means it’s time for the third annual 5K Trail Run for Haiti. 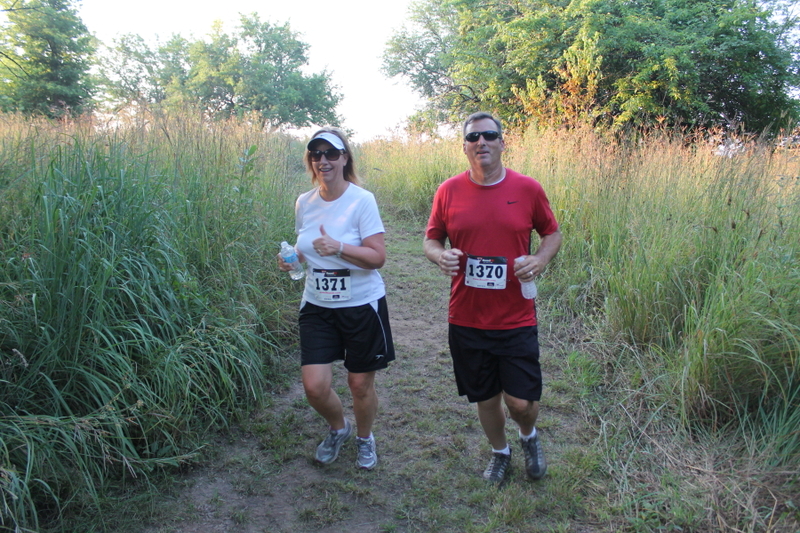 This is a trail run, a cross-country style run, through the woods in southern Johnson County, KS. It’s summertime, so prepare for a warm morning run. 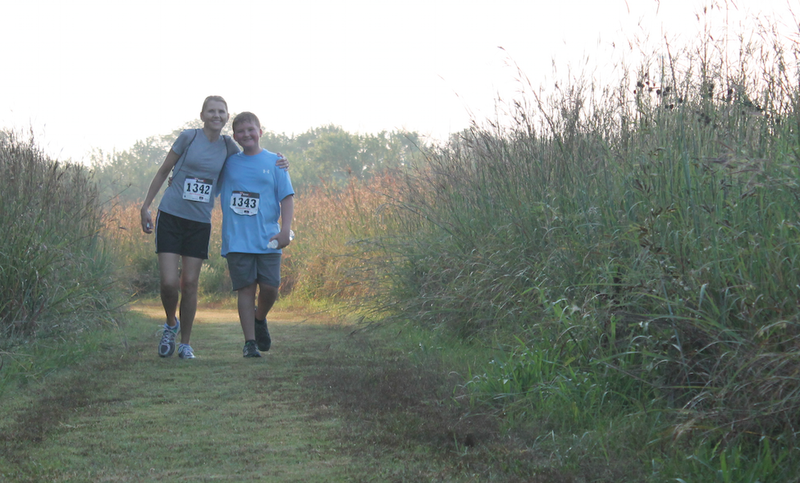 To learn more and to sign up for the 5K Trail Run for Haiti – visit the registration site here. A new epidemic has exploded across Haiti in recent days, already sickening thousands and stressing an already taxed healthcare system. The epidemic has doubled the amount of patients at the Heart to Heart International (HHI) clinics in Port-au-Prince and in Leogane. Even some members of our HHI staff are now coming down with this illness. According to the Centers for Disease Control (CDC): the Chikungunya Virus (pronounced: chih-koon-Goon-yah) appeared for the first time in the Americas in December 2013 on the island of St. Martin and from there has spread quickly across the Caribbean. It’s an illness that has until now been confined to the other side of the world, mostly in Africa and Asia. Now that it’s the rainy season on Hispaniola – Chikungunya is spreading exponentially in Haiti. 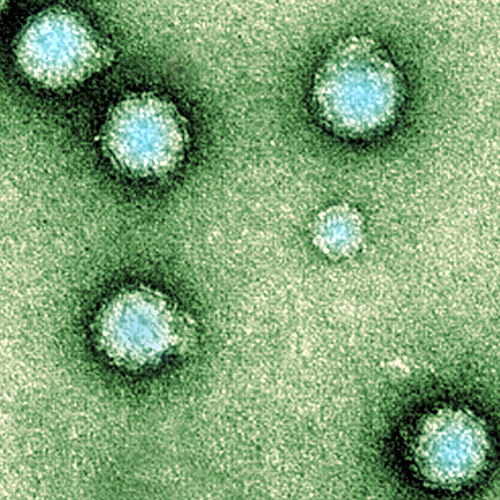 Chikungunya is spread by the bite of the Aedes mosquito, and while rarely fatal, it is a debilitating illness. The symptoms are similar to those of dengue fever, another disease spread by these mosquitoes. Many people afflicted by this illness will feel better in about a week. However, in certain cases, the joint pain will become chronic and last for months, even for a few years. Again the CDC cautions that there is no vaccine to prevent or medicine to treat the chikungunya virus infection. But we’re doing what we can. We’re increasing the number of Haitian medical staff at our clinics to handle the patient overload, working to treat the symptoms with what works – fluids and pain/fever reducing medicine, and mounting an education operation to deliver mosquito netting and to inform people as to this newest disease to afflict Haiti. 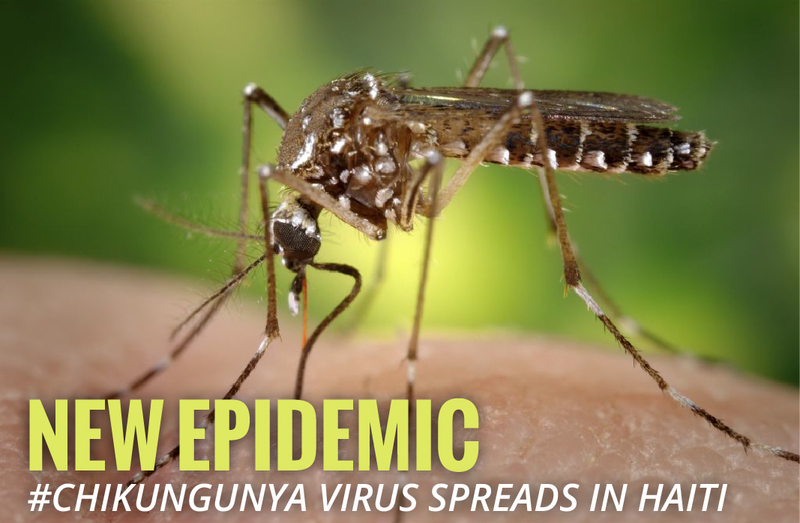 This outbreak of Chikungunya Fever is exactly why HHI needs to be prepared to respond quickly to people in need. We’ve already taken action. We had to. But we can only sustain our response, and prepare for what comes next, by donors stepping up to help. TO OUR DISASTER READINESS & RESPONSE FUND. ARE YOU A MEDICAL PROVIDER WHO WANTS TO VOLUNTEER IN HAITI? Please fill out this Medical Volunteer form to begin your registration. Their mother had lived in the house for 30 years. But those many years of building memories and strengthening family ties were not enough to hold the house firm to its foundation when the storm came. Sunday, April 27, 2014 a massive tornado, an EF-4, plowed through Faulkner County, Arkansas and wiped the home away. Fortunately, it didn’t erase the family. 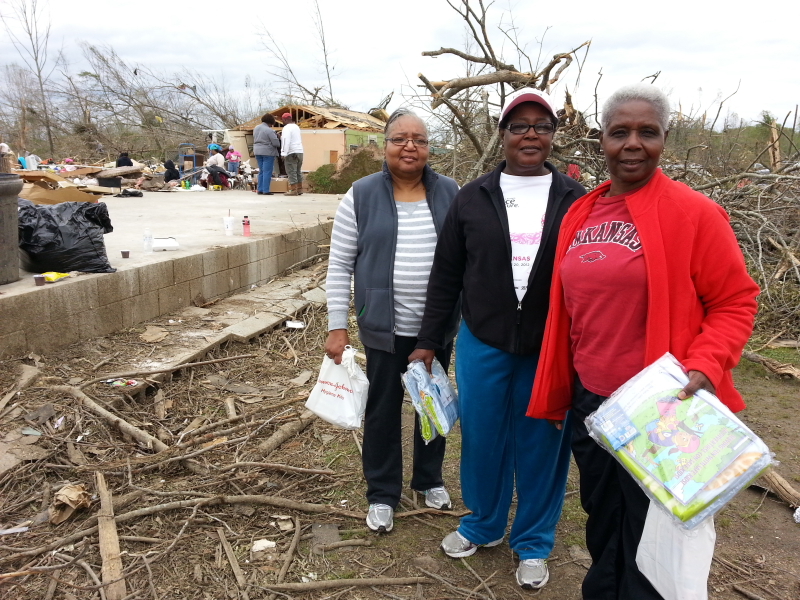 We met these three sisters in the photo above – Ruby, in red, Wyvone in the middle and Helen – while driving from the town of Mayflower to Vilonia. They had come, along with other family members, to pick through the rubble, trying to collect the bits and pieces that were once their mother’s home. A team from Heart to Heart International (HHI) is on the ground in Arkansas, delivering aid and supplies to folks who survived the storm. We brought in items like Johnson and Johnson Hygiene Kits and children’s blanket kits assembled by HHI volunteers; a lot of bottled water; batteries and flashlights; and Neutrogena sunscreen. 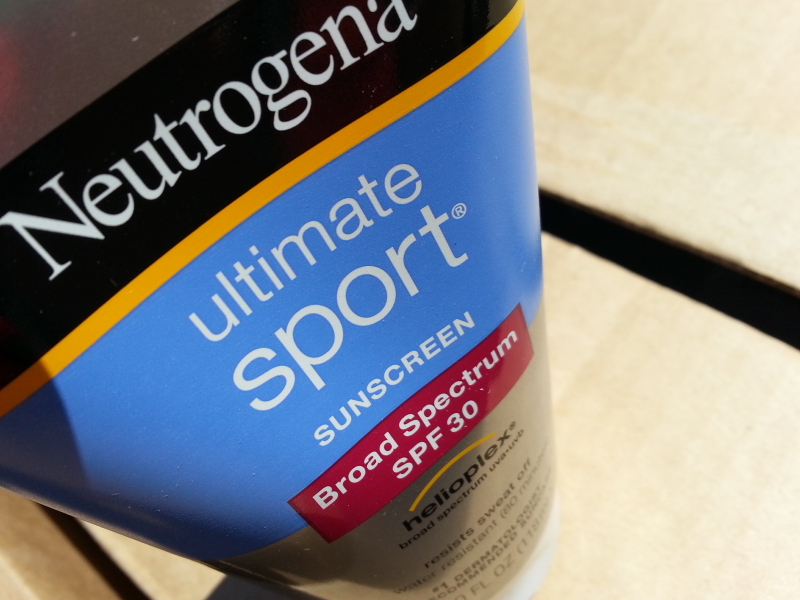 Quite a lot of sunscreen, actually. Boxes upon boxes. And as these things happen, sunscreen is exactly what these three sisters were really needing. Just before we met, the sisters had just been telling their elderly mother, who was picking through the debris, you need to get some sunscreen! But from where? Where do you go when everything near you is destroyed? Not long after, our team came rumbling by in a truck full of supplies, water and sunscreen. We made some friends this day. Not only were we able to provide the desired sunscreen, but we also passed out hygiene kits and blanket kits with coloring book and crayons for the grandchildren and great-grandchildren. It was a good day with the three sisters. A good day helping the good folks of Arkansas. Welch Allyn is one of those companies that we’re seriously in love with. Not only does the company provide support to HHI with equipment, supplies and donations, it encourages employees to volunteer their time and provides the means for them to do so. The folks there are also quite creative in the ways they provide support to HHI. For example, the Ripple Effect Program. Read more about how HHI uses the Ripple Effect to provide needed supplies to clinics here. Now Welch Allyn has launched a program called Points of Care – a new point-based incentive program that allows physicians to earn points based on purchases of select Welch Allyn products. The points can be redeemed for free product, rebates or a donation to Heart to Heart International. Click here to read the full release describing the new Points of Care program. And to go directly to the Welch Allyn Points of Care website, click here. 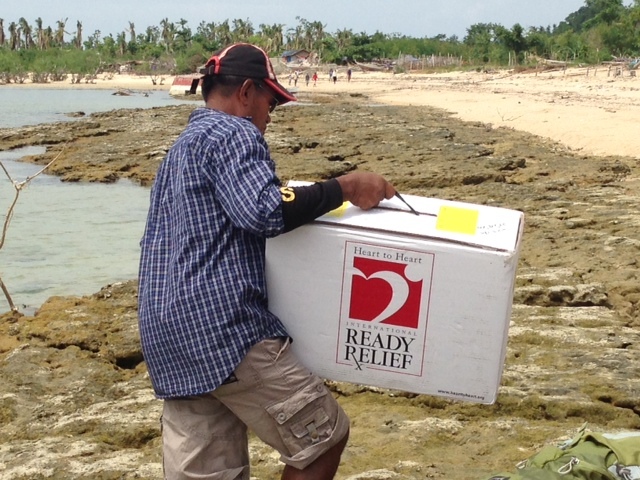 A Filipino man carries a HHI Ready Relief Box onto a beach on Isla Gigantes, Philippines, after offloading it from a boat. 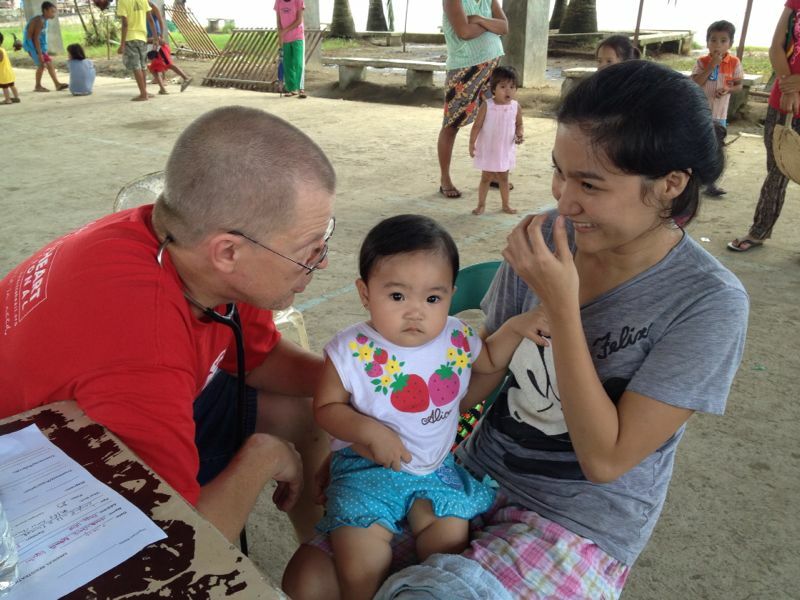 Heart to Heart International has returned to the Philippines – leading a second team of volunteer medical providers to operate makeshift clinics and bring healthcare to people in far-flung regions of the island nation. This follows the first wave of our Typhoon Relief Operations and the successful deployment of more than two dozen medical volunteers and staff in November/December of 2013 to areas like Tacloban and Ormoc in the wake of the devastating Typhoon Haiyan/Yolanda. You can read about those efforts HERE, HERE and HERE. This second team is smaller but more mobile, as they travel across the central Philippines by air, by vehicle and by boat in order to reach quite remote locations. The folks living in these areas, Isla Gigantes for example, were pummeled by Haiyan/Yolanda, yet have seen very little aid – and no medical attention to speak of. So far, the team – made up of three HHI staff, a doctor, a physician’s assistant (PA) and 4 nurses – has met and treated nearly 400 people in just a couple of days. From here, the team will travel to the large island of Samar, visiting communities that took the full brunt of the typhoon and are still dealing with the aftermath. Four years have now passed since that fateful day – January 12, 2010 – when the island nation of Haiti was shaken to its core. The 7.0 magnitude earthquake destroyed so many lives and infrastructure, and continues to have an impact on the people of Haiti. However, that big quake rumbled four years ago. Four years later, long after our initial emergency response, Heart to Heart International is no longer dealing with earthquake mitigation. Our Haiti Operations have grown substantially in this time, as we made a commitment to work with the Haitian people and their government, to make a real and lasting impact on the health of the country. Please watch this brief video to learn more about what we have accomplished during these four years, and what we are working on for the future. Donors have really made all of this happen: individuals, corporations, foundations. Without the monetary support, we couldn’t do any of this. Please support our efforts in Haiti by making a secure donation now. For more than a month Heart to Heart International (HHI) has provided aid to the people of the Philippines in the wake of Typhoon Haiyan (Yolanda). First with an HHI Advance Team, and then with two dozen medical volunteers – doctors and nurses – who have come from across the USA, and have worked as small mobile medical teams. They’ve been to numerous locations in the hardest struck areas of the central Philippines. Places that you’ve heard of on the news, and other places you haven’t. As you see on the map above (or below), they’ve been focused on communities and villages on two islands – Leyte & Samar; around Ormoc City; and Tacloban, the city ravaged by the typhoon. 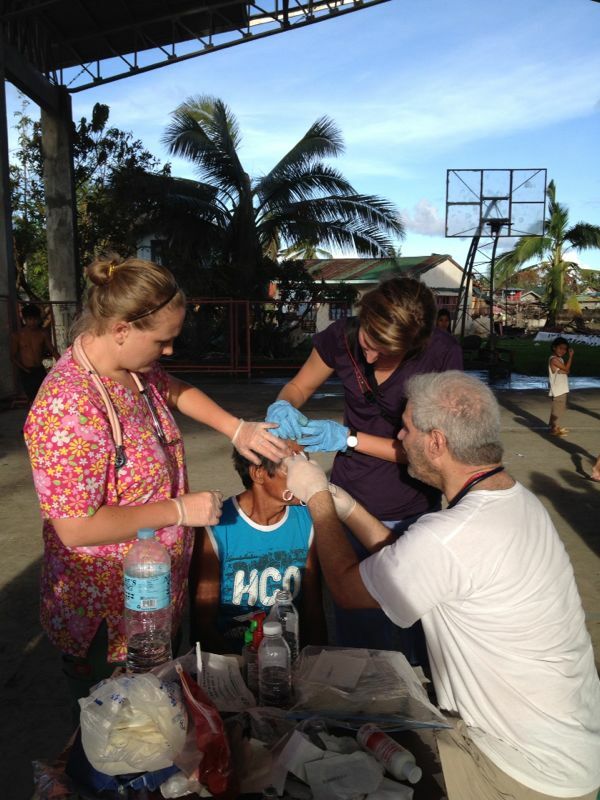 Our Advance Team and these volunteers have treated more than 2,000 patients since arriving in the Philippines. Check out the locations where HHI medical volunteers have worked in the past couple of weeks by clicking the icons on the map above. You’ll learn the place names and see the number of patients treated at each locale. To access previous posts about HHI’s Typhoon Relief Operations in the Philippines: click here, here and here. And to read reports from our Advance Team click Part One, Part Two and Part Three. Click the button to make a secure online donation. Using Mobile Device? Donate Here! 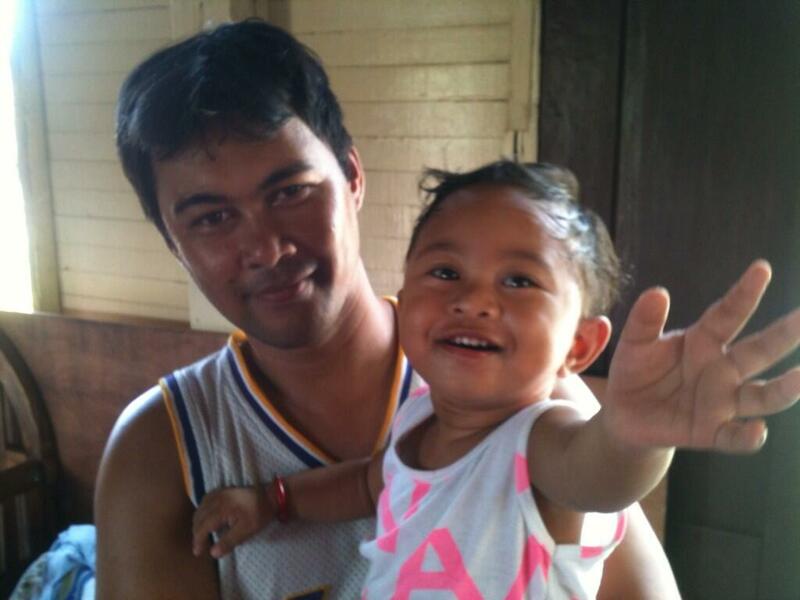 While many spent the long Thanksgiving weekend in the U.S. with family and friends, and getting into the swing of the holiday season, in the Philippines… HHI staff and volunteers continued to provide medical care and deliver aid to those in need, like Ray and his son Zeus in the photo above. As of this writing, it’s been nearly a month since Super Typhoon Haiyan (Yolanda) struck the central Philippines. In that time Heart to Heart International’s Advance Team and medical volunteers have held clinics in several locations in the typhoon zone on Leyte Island and Samar Island, seeing hundreds of patients for a variety of ailments. As we wrote about in a previous post, we’ve also shipped more than 44 tons of aid containing food, shelter supplies, medicine, medical equipment and Heart to Heart Care Kits. Those Care Kits are now in the hands of the people who need them. Check out a few photos of what you made happen!